Scenic air adventure departing Darwin. Kakadu – Warradjun Culture Centre – Yellow Water Cruise. This iconic tour is ideal for the time poor. No Credit Card or Booking Fees! 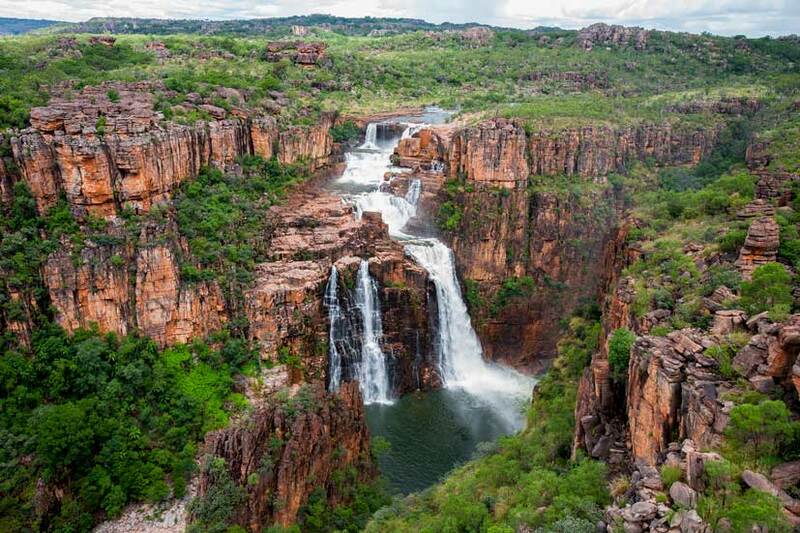 Kakadu – Warradjun Culture Centre – Yellow Water Cruise. This iconic tour is ideal for the time poor, especially when considering the long distances involved. Of course the bonus of aircraft travel is not just limited to saving time, it's really about the extraordinary views of the Arafura Coast - vast floodplains - winding rivers, stunning Arnhem Land Plateau, but also to have adequate time on ground to lunch at Cooinda, visit an Aboriginal Visitor Centre and cruise on Kakadu's MUST DO Yellow Water, and still be back in Darwin for late afternoon and evening activities. 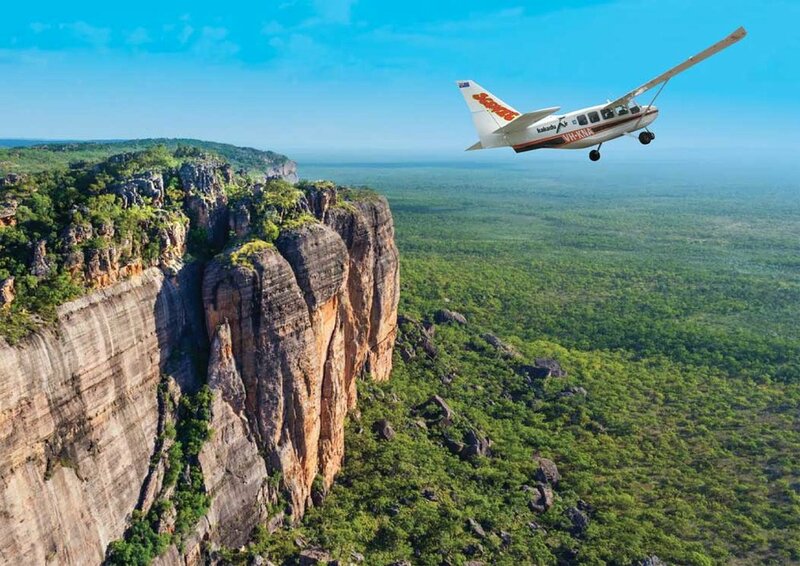 This scenic air tour is the perfect lazy visit to Kakadu. With over two hours of spectacular aerial sightseeing. Outbound is the extended flight tracking first over Adelaide River , then Mary River, then Kakadu's West, South & East Alligator Rivers. All rivers wind a confused path across the flatlands, coastal mangroves hold back massive floodplains in the wet, some dry, and others retain water in the dry season, resulting in variations of vegetation and a kaleidoscope of colour. 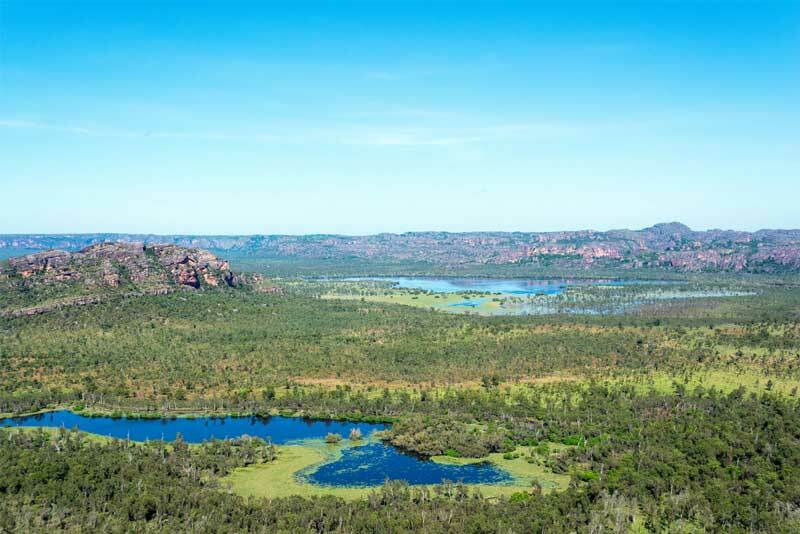 The Arnhem Land Plateau stands proud on the Eastern side of Kakadu, its 1.6 billion year age illustrated by the amazing erosion; its simply stunning. We land at Cooinda and visit the Warradjun Aboriginal Visitor Centre, lunch, and crusie Yellow Water before returning to Darwin. 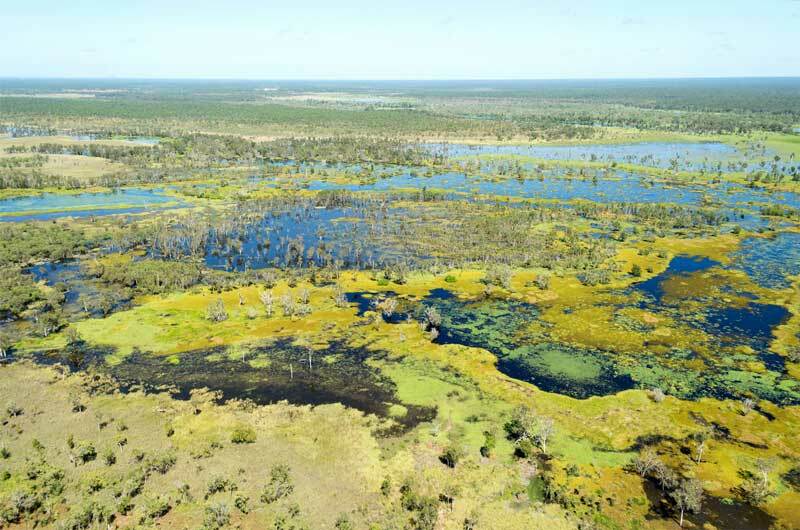 The shorter return flight first discovers the upper South Alligator River and flood plains before tracking towards Darwin. A growing number of 5 acre rural residential blocks, the the sprawling cities of Palmerston and Darwin welcome us back usually before 4pm. 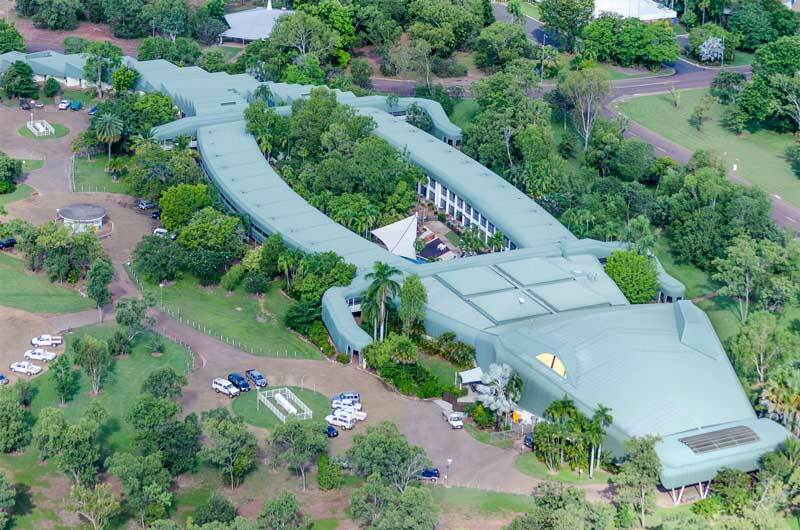 Price includes: Scenic flight(s) to/from Kakadu, Yellow Waters Cruise, park entry fee and a visit to the Warradjun Aboriginal Culture Centre (free to public). Price does not include: Lunch, Personal items, transport to/from Darwin Airport.